Our water supply system and its infrastructure are intended to plan for the collection, storage, distribution and transmission, including treatment, of water for homes, commercial use for industry and irrigation, as well as for such public uses as fire fighting. All of these uses require reserve water or a guaranteed supply of water to operate. The normal solution is a water holding tank at or near the place of intended use. In domestic supplies, this might be a municipal water tank or resovoir. Many municipal systems are required to keep a minimum of at least 30 days supply ‘banked’ in underground or above ground systems. This aspect, along with several other aspects of water management falls under civil engineering services provided by the local county or city government in charge of managing the water systems. Many rural areas are on private or local wells. In many residential areas with low yield wells (typically less than 5gpm but it is sometimes considered as a function of requirements) an elevated holding tank is a requirement. 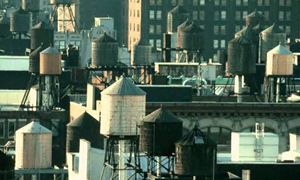 The long familiar sight of high rise inner city buildings with water tanks on the roof, in use today, provides high-rise residents the water from those tanks located on the roofs of the buildings. In addition to being a storage device the tank creates water pressure by gravity, which brings water to each apartment as needed. They can also potentially provide fire safety in those high rises by providing instant local access to water. For most commercial and fire saftey systems the common storage solution is a holding tank. Both cooling towers for HVAC and storage tanks for fire supression must have a reliable system for regulating the water level. Amazingly, many safety systems still have old fashioned float type switches or early generation electric water level switches. The first forms of electric sensors did improve on the mechanical float switch, while introducing new problems to be learned and overcome, such as corrosion or deterioration of sensors rendering them inaccurate or useless. In the cases of power failure there are other issues with the loss of electricity itself at the site. Potable water is the essence of life. Wasting it is not an option in our society today. Our work with local utilities shows how properly regulating water levels does indeed save water and money. Recently, we added a Normally Closed (NC) relay to a high alarm and wired the well pump through the relay; when activated the relay would open and turn the pump off. This is a safety switch just in case the relay that operates the pump contacts fuses closed. We can custom fit almost any application. Our integration with BAS, our UL listing and our rock solid reliability backed by our exclusive 100% guarantee is reason enough to employ Waterline products in all your water level management applications. 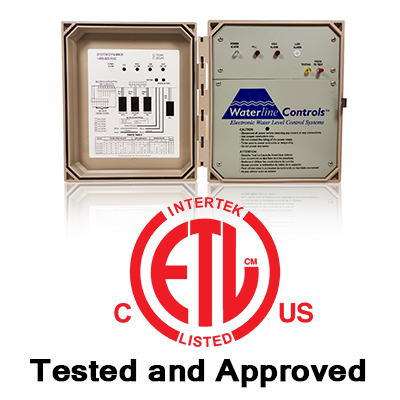 When you realize the simplicity of maintenence, advanced state-of-the-art system operation and advanced microprocessor control finally gives you what you want at a cost that is exceptionally reasonable, you will wonder why you haven’t made the step up to waterline controls before. « Cooling Tower Utility Rebate Program.